It all began in 1949 when the general manager of a local warehouse, the Cincinnati Transfer Company, decided it was time to start his own company. Relying on his 30 years of experience in the trucking industry, Otto Budig, Sr. was confident that he could build a quality provider of transportation services in the Cincinnati area. So, with borrowed capital and two rented trucks, Otto, Sr. started Budig Trucking Company. Photograph taken on June 18, 1956 when the first L&N trailer was loaded onto a flatcar. Otto Budig, Sr. (center) is shown with L&N’s Charles ‘Packy’ McFarland and Joe Mann. Like most new businesses, Budig Trucking struggled in the beginning. After three months of operation, the company remained undercapitalized and short on profits. Seeing no hope for improvement, Otto Sr.‘s accountant advised him to close shop. Things looked bad for the future of the company, but Otto Sr. was not about to give up. Eventually, his persistence and dedication paid off and the company began to grow. 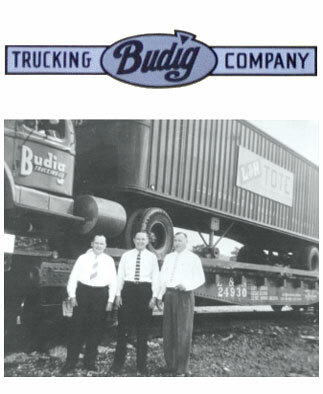 Among Budig Trucking’s first accounts was the L&N Railroad, which hired the company to consolidate box car freight. Realizing the inefficiencies of box car transportation for certain types of freight, the L&N began loading freight trailers onto flatcars. In the early days of intermodal, trailers were driven up ramps onto rail cars and pulled from one car to the next across bridge plates. Since this type of operation was very safety-intensive and required experienced drivers, the L&N looked to Budig Trucking to handle the work. 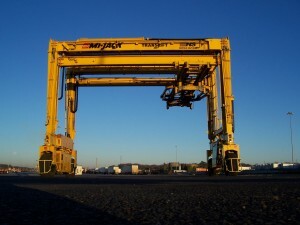 It was this first “circus-style” loading operation that gave the company its start in the intermodal industry. In the years to follow, the company expanded its intermodal activity and created a new intermodal division called Parsec Inc. In 1987, the company purchased Lift Equipment Rebuilders, which specializes in the repair and maintenance of equipment, and Piggyback Services, a Chicago-based intermodal contractor founded by Eugene Pauls in 1971. In 1985, when deregulation was making it hard to survive in the trucking industry, the Budig Trucking division was sold. This allowed the company to concentrate its efforts on intermodal activity and make it the world leader it is today.